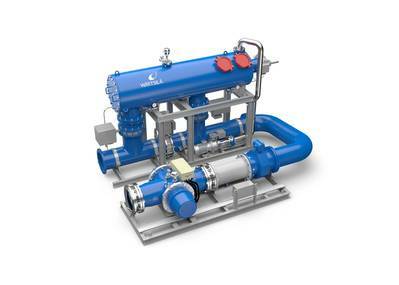 Wärtsilä Aquarius UV Ballast Water Management System. Wärtsilä has proactively planned and developed its range of Ballast Water Management System (BWMS) solutions in anticipation of the ratification of the International Maritime Organization's (IMO) ballast water convention. The minimum levels of acceptance have now been achieved and the convention is ratified. The International Convention for the Control and Management of ships' ballast water and sediments (BWM Convention) will enter into force on 8 September, 2017. Finland is the latest country to sign the instrument of accession, bringing the number of countries to 52, which is far more than the minimum of 30 IMO member states required by the convention. However, ratification also required that the signees must represent 35 percent of the world's registered gross tonnage, and this has been more difficult to achieve. Finland's acceptance takes this to 35.1441 percent, just above the minimum level needed. This ratification provides clarity to the maritime community regarding the entry into force timelines, thereby allowing and obligating the global maritime sector to focus on the implementation of the convention rules. As of September 2017, the Ballast Water Convention will ultimately require vessels in excess of 400 GRT to have a type approved BWMS installed and operating in accordance with the convention guidelines, and which conforms to the Regulation D2 discharge performance standard. "Wärtsilä's development work in this field has involved close cooperation with its customers to ensure the most practical and effective solutions are brought to the market. The company's BWMS solutions are fully supported by Wärtsilä's global service network," says Joe Thomas, Director, Ballast Water Management Systems, Wärtsilä Marine Solutions. The intention of the IMO legislation is to address the issue of invasive aquatic species being carried in the ballast water of ships and then discharged to the sea where they could possibly harm local species. The Wärtsilä Aquarius range of Ballast Water Management Systems (BWMS), are 2-stage solutions that adopt a common approach to filtration, using automatic back washing screen type filters. A choice of treatment technology is provided through selection of either the Aquarius-UV or Aquarius-EC. Aquarius -UV provides disinfection using ultra-violet light (UV). Aquarius -EC provides disinfection using sodium hypochlorite generated through side stream electro-chlorination. Both BWMS are IMO Type Approved, are available for both safe and hazardous area installation, and have USCG AMS status. Full USCG Type Approval will follow in 2017 and together with the Wärtsilä global lifecycle support network, this offering makes Wärtsilä a partner of choice for all BWMS needs.